Sometimes the only way forwards, is to go backwards. And when you have such a rich history of craft brewing as Mariestads, it would be crazy not to take a trip down memory lane once in a while. Five years in a row, brew master Richard Bengtsson has embarked on a journey to culinary hotspots in order to gather inspiration for new brews. The project is called ”Den Stora Smakresan” (the Great Taste Journey) and Mr Bengtsson travels in style, using historical means of transport such as steamboats, locomotives and classic, propeller-driven airliners. 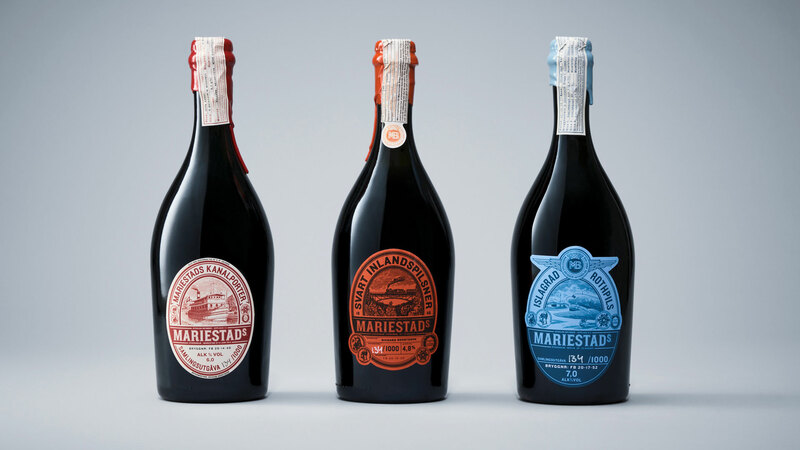 The result is a series of limited edition beers. Each one labelled by hand and signed by the maestro himself. And each and every one is designed by Neumeister to evoke feelings of a time when travelling was glamorous and beer making was an artisanal pursuit for those who valued culture and traditions. If you ask us, this is a very successful way to strengthen the positioning of Mariestads. Not only as brand for everyday consumption, but for special occasions too.